Here at Burrow Family Dentistry, it is our goal to offer patients of all ages an inviting, welcoming experience and comprehensive dental care. We are proud to offer a wide range of dental services that include preventative, restorative, and cosmetic dentistry. If you are looking for a thorough examination and a personalized treatment plan that fits the needs of you and your family, request an appointment with us today. Dr. Matthew Burrow, a Kansas City native, graduated from the University of Missouri-Columbia with a bachelor’s degree in Biology and proceeded to receive his DDS from the University of Missouri-Kansas City School of Dentistry. He is an esteemed member of the American Dental Association, Kansas Dental Association, and the Shawnee Chamber of Commerce. 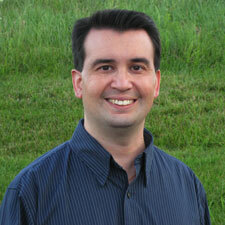 He is married with three children and enjoys golf, fishing, and spending quality time with his family. 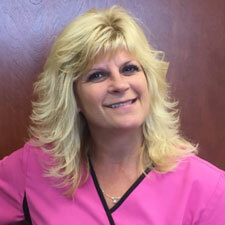 Dottie, our assistant, has been in the field for 20 years and has been with Dr. Burrow for 6 years. She has three children and one grandchild. When Dottie is not working, she enjoys fishing, boating, and spending time with family and friends. 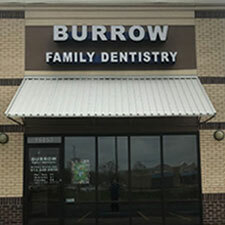 No matter what your dental needs, at Burrow Family Dentistry you are in good hands. Our team of highly trained professionals is equipped to ensure that you leave the office with a healthier and happier smile and a better understanding of how to maintain good oral health. If you have any questions or would like to schedule an appointment, please call (913) 248-8200 or send us a message through our website. We look forward to hearing from you!